If You're in Need of a Family or Divorce Lawyer, Call The Armstrong Law Firm Now. We Know How To Handle Your Case With Compassion. Armstrong Law Firm. We currently focus our practice on complex property division and support issues. Divorce is highly stressful and complicated. 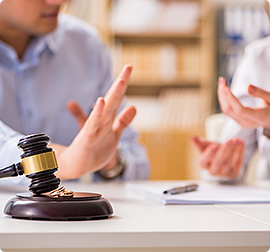 Divorcing couples are often overwhelmed with dividing real estate, business interests, retirement accounts and other complex assets. You can count on us to be strong for you when you face these financial struggles in separation and divorce. We will protect your rights and interests through wisdom gained from practicing family law for more than 30 years. Marcia is a N.C. Board Certified Specialist in Family Law. Need a separation agreement or a strong presentation in court? Marcia and her team are sophisticated, skilled negotiators and trial attorneys who get results. She always puts your goals first. To discuss property division and other divorce-related issues, please contact Marcia and our legal team today. We will provide a timely and confidential consultation. Marcia holds many honors and certifications, reflecting her skills and high standards provided to family law clients in Smithfield, Raleigh, Fayetteville, Wilmington and communities throughout Eastern North Carolina:Marcia is a N.C. Board Certified Specialist in Family Law. Marcia earned this distinction in 1989 and has received recertification every five years since. To be certified, a lawyer must satisfy a number of rigorous standards, including substantial involvement in family law and positive reviews from fellow attorneys. “When you are looking for a lawyer, you can use board certification to identify lawyers who are qualified to represent you,” according to the N.C. State Bar Board of Legal Specialization. Marcia is a Fellow in the American Academy of Matrimonial Lawyers (AAML). The AAML limits membership to lawyers who meet strict criteria. The AAML is widely regarded as the country’s pre-eminent family law association. The AAML only accepts attorneys who achieve the highest level of professional skills, ethical integrity, and service to the profession. As an AAML Fellow and past president of the AAML North Carolina Chapter, Marcia is recognized and well-respected by family law attorneys across the state and nation. Marcia is a former chair of the N.C. Bar Association’s Family Law section. She received the NCBA’s Distinguished Service Award for her service to the section, including her work on numerous family law continuing legal education (CLE) programs. Marcia also received the NCBA’s Citizen Lawyer Award in recognition of her community service, including her work with Harbor, Inc., a non-profit that helps victims of sexual assault and domestic violence in Johnston County. Marcia’s peers selected her for inclusion in Super Lawyers® based on her skilled, committed and ethical representation of clients. Additionally, she has an “AV Preeminent” Peer Review Rating™ in the Martindale-Hubbell® legal directory – the highest possible rating of skill and ethics – and she is listed in Best Lawyers® – an honor based on peer evaluation. When you work with The Armstrong Law Firm, you will quickly see what “Strong for You” means. Our team brings enthusiasm and sincere passion for practicing family law to your case every day. We care deeply about each client and work tirelessly for each one. You can obtain a divorce in North Carolina if you and your spouse lived separate and apart for one year, and one of you resided in North Carolina for at least six months prior to the divorce filing. Our legal team will help you to determine eligibility for divorce, and we will accurately and efficiently handle all court filings and other paperwork involved in the process. 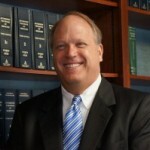 Marcia and her fellow attorneys at The Armstrong Law Firm are, first and foremost, trial attorneys. We thrive on presenting carefully crafted and powerful arguments in court. However, each person's situation is unique. Settling outside of court through reaching separation and property agreements is the best option for some. When settlement is better for clients than court, we negotiate and obtain the best possible settlements, saving clients time, expense and stress. When settlement rather than court is the best option in your case, we will use direct negotiation, mediation and/or arbitration to pursue a favorable settlement for you. Our attorneys often work with investigators, accountants and financial experts to sort through the many issues that arise in the classification, valuation and distribution of assets and debts in a divorce. In a lump sum or periodic payments. We will work with you to determine whether you are eligible for spousal support. We can help you to seek appropriate support through a provision in your separation agreement or, if necessary, through a court order. Our firm also protects the rights of "supporting spouses" from whom alimony is sought. Additionally, we can assist you if you seek the modification of an existing alimony award based on changed circumstances. Many couples today in Eastern North Carolina protect their property interests and other rights by entering into a premarital agreement (also called a prenuptial agreement). This type of agreement is especially useful if you have concerns about a business that you have worked hard to grow through the years or if you own other extensive assets. To be valid and enforceable under North Carolina law, the agreement must be carefully drafted and include certain ingredients. We will work with you to draft an agreement that meets your priorities. Mediation and arbitration are procedures which sometimes help people resolve disputes outside of court. Marcia appreciates the benefits of resolving property division, spousal support and other issues in a divorce through mediation and arbitration. She will use these procedures when necessary and carefully guide your case through them. Marcia understands these procedures because she also serves as a well-respected mediator and arbitrator in cases throughout eastern North Carolina in which she does not represent either party. Marcia holds certification from the American Academy of Matrimonial Lawyers as an Arbitrator and from the N.C. Dispute Resolution Commission as a Superior Court and Family Financial Mediator. You may have a legal claim if an outside party alienates your spouse's affections from you which leads to divorce and/or carries on an adulterous relationship with your spouse. If this is your situation, our legal team can help you explore a possible lawsuit against that party. How Can Our Eastern North Carolina Family Law Attorneys Help You? If you face challenges with property division, alimony or other family law issues in your divorce, do not hesitate to contact The Armstrong Law Firm. We will provide a timely, confidential consultation about your case. Your consultation is obligation-free: You do not have to hire us. Indeed, sometimes, you do not need to hire an attorney after an initial consultation. During your initial consultation, we will discuss with you the facts of your case and provide an overview of how the law applies to your situation. Feel free to ask as many questions as you have about us and our approach in serving our clients throughout Eastern North Carolina.